Being a volunteer firefighter is a great way to serve your community, make new friends, learn new skills, build a future career in firefighting and be part of a team! It's also dangerous, hard work and takes a lot of time and commitment. But the hard work, time and commitment put into saving a home or saving a life is very rewarding! 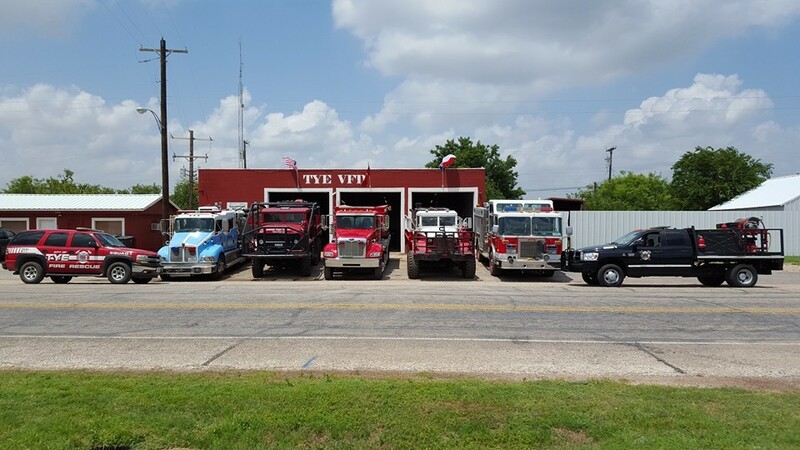 The City of Tye Volunteer Fire Department is always looking for new members. Even if firefighting is not for you, we have openings for driver/pump operators, EMTs and support members. No experience is necessary. We provide in-house training every Monday at 6:30pm. In addition, there are many area fire schools you may attend at no cost to you. The City of Tye provides workman's compensation in the event of injury or illness. If you're not sure about joining and want more information, stop by any Monday night at 6:30pm and see what we're all about. If you've already decided to join us, download an application, fill it out and bring it to one of our meetings. Thank you for your consideration!